Does the thought of a dental visit make you conscious, scared, or anxious? There is nothing to be embarrassed about; other people feel the same way too! And since it is prevalent, dentists have been seeking the most effective way to make every patient have a pleasant experience. 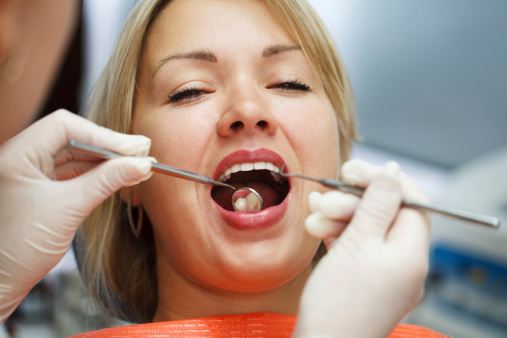 Aside from fear, other factors can cause a patient to avoid undergoing any dental procedure. Those who experience such are good candidates for sedation dentistry. It is a branch in dentistry that aims to make anyone feel comfortable during dental treatments to receive the care they need and deserve. Unfortunately, certain instances make sedation dentistry a no-go. The dentist would be the one to determine if a patient is qualified. They would first check the medical record and list of any medications taken to guarantee the safety of a patient and the effectivity of the method used. At Plantation Dental Care, the type of sedation we offer for our patients is laughing gas. Curious why of all the other options available we chose the use of gas? Read on! The method has been available for many years now. It was initially discovered in the year 1793, but its medical potential was only recognized in the year 1844. Fortunately, dentistry was able to take advantage of its benefits in 1960. The dosage of the gas can be easily adjusted depending on the needs or preferences of a particular patient. It is possible for them to stay fully conscious yet comfortable, or asleep and not remember anything that took place. The gas is delivered through a mask that is worn over the nose. Patients who are not comfortable with the thought of using needles can take advantage of this feature. Laughing gas takes effect a few minutes after the patient breathes in the oxygen and nitrous oxide mixture. The good news is, it also fades as fast. After removing the mask and breathing in normal air, patients can continue with their day without any hangover from the sedative. Ready to experience an anxious-free and comfortable dental experience? Avail of our Sedation Dentistry service in Plantation, FL. Book your appointment with us at Plantation Dental Care!